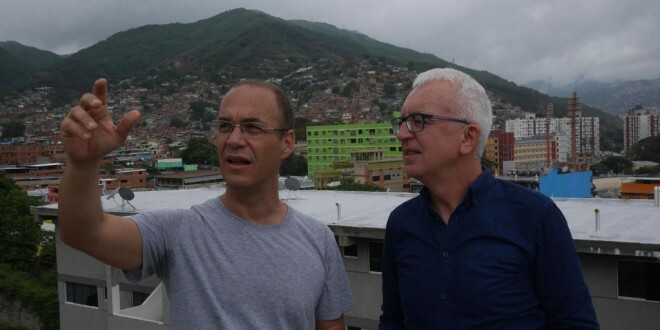 Peadar King (right) with Andres Antillano in Caracas, Venezuela. KILKEE man, Peadar King is about to return to TV screens, with the ninth series of What In The World?, which explores issues in various parts of the developing world. At this stage, they have covered 50 countries and this series covers matters in Venezuela, El Salvador, Libya and Western Sahara. The plight of Western Sahara is something that very few people in Ireland will know much about, but it has had a dire recent history. “Western Sahara is a country people know very little about in West Africa because, for the last 40 years, it has been occupied by Morocco. In 1975, the Sahrawi people, the indigenous people of Western Sahara, fled in the face of the onslaught of the Moroccan army and they now live in a refugee camp in south-western Algeria. Over 100,000 of them have been living in refugee camps for the last 40 years and it’s a story that gets very little attention,” Peadar explained. Promises long made to the refugees have not been honoured and there is very little prospect of them being honoured anytime soon, as the Sahrawi are forced to continue their uncomfortable exile. “Because there’s so little attention and so little knowledge around the plight of Western Sahara that there’s a real degree of frustration, particularly among the younger people there. The big debate was whether they will go back to war with the Moroccans. There was a peace treaty in 1992, which was overseen by the United Nations (UN). The UN promised a referendum on self-determination in Western Sahara and it never happened,” said Peadar. For another episode, they visited Libya, which has been in transition since the overthrow of Gaddafi. They look at the prospect for reconciliation and to what extent ISIS is gaining a foothold in the country. Efforts at prison reform in El Salvador also come under the microscope, given that overcrowding has been a serious problem in the system there. “It’s a country of about six million people; it’s just a little bit bigger than Ireland. It has a prison capacity of 6,000 or so, but it has a prison population of nearly 30,000. There is massive, massive overcrowding, huge levels of violence and high levels of recidivism as well. Up until recently, there were no efforts at all to do some kind of rehabilitation of prisoners,” he said. Five years ago, the State began to tackle the problem of the crumbling system with a reform programme, despite having very little in the way of resources. “They introduced this prison reform programme called the Yo Cambio and what they did was say they’d get people who are in prison to become teachers of other people in prison. If you have a skill, if you know something, you can teach it. They began to introduce educational programmes on a whole range of things from literacy to playing the guitar to making hammocks to block laying and all the teachers are people in prison. “As a result, they began to improve the conditions in which people were living. 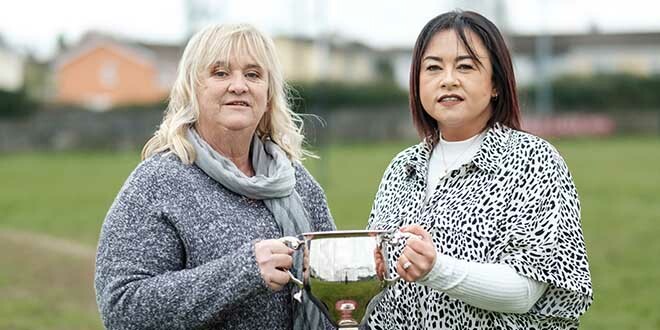 There was a trade off; if people bought into this and attended classes, their diet improved, their hygiene improved, morale improved, living conditions improved, and there was a prospect of getting some trade-off with their sentences,” says Peadar. Attempts to address a lack of housing in Venezuela is another theme. “We looked at housing in Venezuela because there are about 2.3 million people waiting for houses in Caracas, the capital city. What the Government has decided to do is prioritise the construction of houses. For the past five years, in a relatively poor country, they’ve built 700,000 houses. Another reason to cover it was to see what happened after the departure of the late, iconic Hugo Chavez. “Chavez died in 2012 and he was the first big left-leaning leader in Latin America. It’s interesting to see, once you remove this hugely charismatic and authoritarian figure, what happens afterwards. The new series will start on December 1 at 11.15pm.